Choosing a hearing professional is one of the most important decisions parents of a hearing-impaired child or a hearing impaired adult can make. Since a hearing aid cannot be prescribed like eyeglasses, proper hearing aid recommendations and fittings are highly dependent on the judgment and skill of the professional selecting the instrument. 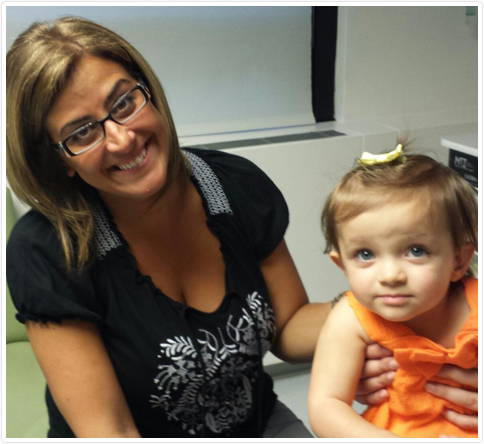 Here at CRM Audiology you will get a full professional and personal service that you and your family deserve. Once your hearing, is assessed, we will begin the selection and dispensing of an appropriate hearing instrument that best meets yours or your child’s needs. In addition to, providing ongoing support and counseling, we will ensure proper servicing of the hearing instruments. Our philosophy is focusing on whole person (adult or child) and making hearing solution recommendations to fit lifestyle and personal needs. One of our major goals is to provide the most comprehensive pediatric audiology services for our families. CRM Audiology contracts with Westchester and Rockland Early Intervention as well as Connecticut’s Birth to 3 services. We will provide each family with a wealth of information about hearing loss, hearing aids, hearing services as well as speech and language of listening and learning information to ensure your child will have access to what is needed for early and ongoing development of speech, language, communication, social and learning skills. Your child will not only learn to hear, they will hear to learn. In addition, we take part in IFSP, IEP and 504 meetings to help develop appropriate education plans and goals for your child. We provide a full range of Educational Audiology services. Ongoing communication with your child’s therapists and school personnel is important. It takes a village to raise a child and team to educate a child. Let CRM Audiology be part of that team to get the most for your child.